1. In a bowl, beat together the butter and sugars until creamy with a hand or stand mixer. 2. Mix in the vanilla extract, flour, and salt. Stir in the chocolate chips. 3. Spoon some of the frosting on top of each cooled cupcake and spread with a knife. 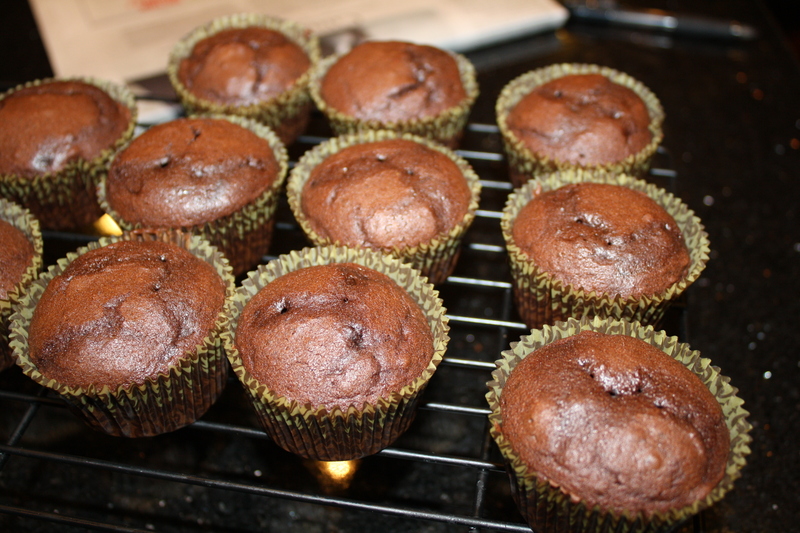 I started out with 24 Devil’s Food cupcakes from a boxed mix. Then I put the flour, sugars and salt into the mixing bowl and stirred them together. 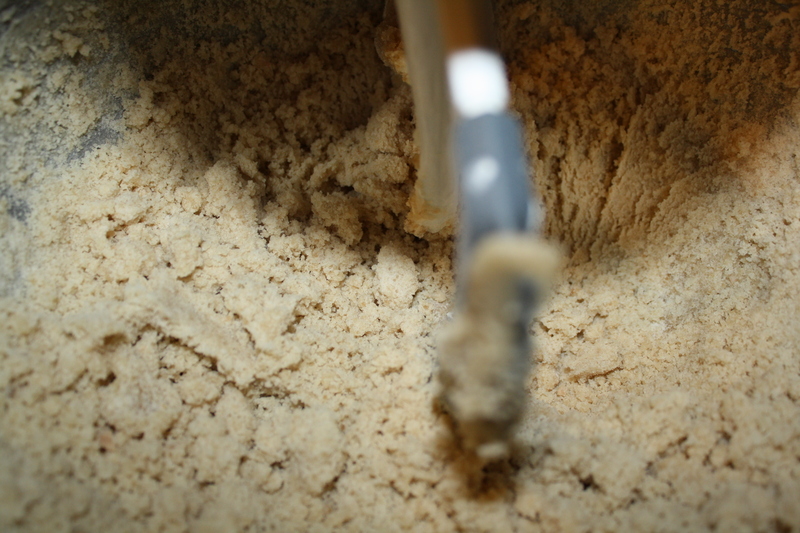 However, the mixture was really dry, almost like the consistency of shortbread dry, so I added some cream. I know that the recipe calls for milk, but I thought that using a bit of whipping cream might make the frosting more like frosting. 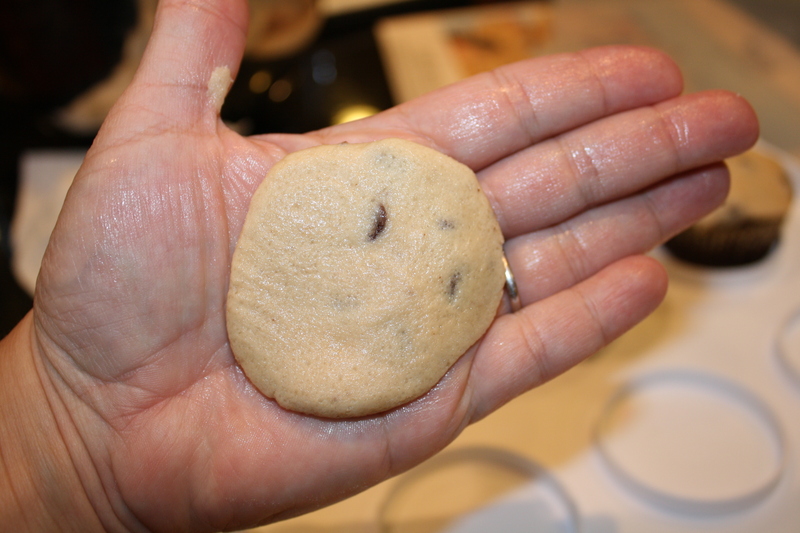 Then I added the chocolate chips, and the frosting came out much like chocolate chip cookie dough. so I pulled it out by the tablespoon, rolled it into balls and flattened them out. 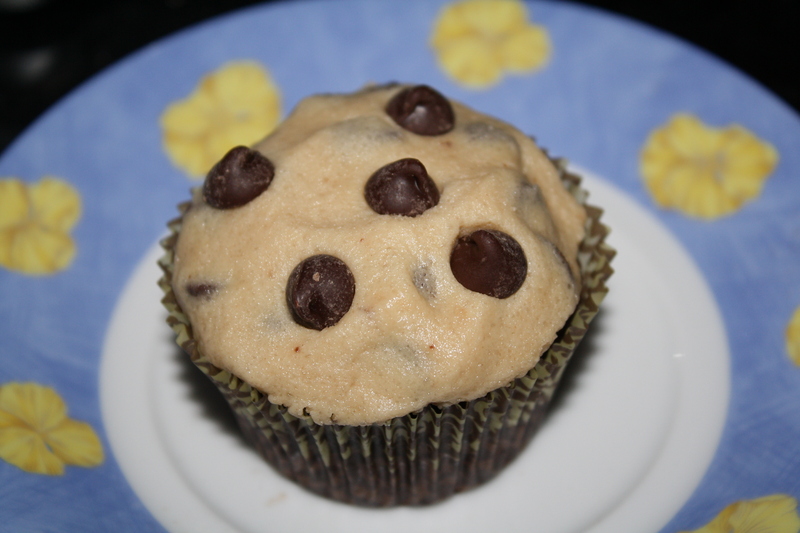 Then I placed the “cookies” on top of the cupcakes and decorated them with a few more chocolate chips. They were a little too sweet for my taste, plus, at least on the first day, the sugar was rather grainy. I wonder if it would be better to substitute confectioner’s sugar for the granulated to make the texture more smooth. They were actually better the next day, after everything had really had time to come together. (That’s right, some cupcakes are like fine wine, reaching their peek of deliciousness on the second or third day after they are baked.) In any case, the kids LOVED them, and gobbled them up.